Who Am I? Young Minds Forced to Choose premiered at Los Angeles Museum of the Holocaust. 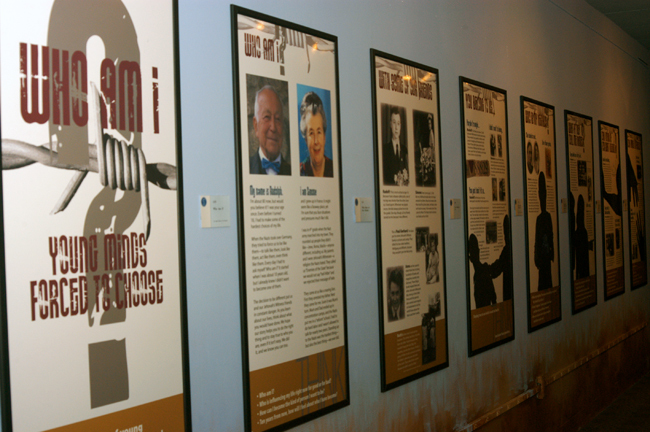 Created by the Arnold-Liebster Foundation, this compelling exhibit of 13 framed panels examines the lives and experiences of young Jehovah’s Witnesses who suffered due to their refusal to accept Nazi ideology. Includes educational activities for students. Venues include California, Florida, Illinois, Iowa, and Virginia.